The Complete Beginner's Guide to Coinbase Review 2019 - Is it Safe? With the interest and investment in cryptocurrencies having surged this year, the requirement for safe and secure exchanges to facilitate the purchase of crypto has become increasingly important. One of the most popular exchanges that is currently available is Coinbase. Launched in San Francisco in 2012, Coinbase operates in 32 countries and has served over 12 million customers to exchange over $40 billion in digital currencies. By 2013, Coinbase was the highest funded Bitcoin startup as well as the largest exchange of cryptocurrency in the world. Unlike other exchanges that require users to trade on a market, Coinbase allows users to trade their cryptocurrency at a set price that is based on their market value, which allows users to purchase their cryptocurrencies faster than other exchanges. Coinbase is also one of the few cryptocurrency exchanges that accepts credit cards (in addition to bank transfers). If you signup with our Coinbase link and deposit $100 you will get an extra $10 in Bitcoin. In addition, Coinbase operates the Coinbase Pro exchange, which is intended to focus on professional traders. By following the below step by step guide, you will be able to buy cryptocurrency through Coinbase. Signing up – To create an account on Coinbase, all you need is your name, email address and password. Account Type – Upon request, you will be asked to confirm your email address. Once completed, you will be redirected to the startup page, where you will be first requested to confirm whether you want to create an individual or business account. Verify your Phone Number – The next step is verifying your phone number. The reason for this is to create a form of 2-factor identification in order to ensure that your account remains secure. Other 2-factor identification methods are also available, as set out below. Set up Payment Method – As stated above, Coinbase allows customers to choose from two payment methods – bank transfer and credit card. For bank transfers, Coinbase will often set up one or two small transactions to and from your account, in order to verify your account. For credit cards, a screenshot of the credit card is necessary. Bank transfers in the US can take up to 4 to 5 days to complete, or 1-3 days by SEPA transfers in the EU, while credit and debit card transactions are instant. Coinbase also allows for users to link their Paypal account to the platform, but this can be used for proceeds made from selling cryptocurrency only. Buy Cryptocurrency – Once you have funds in your account you can buy currency. It’s important to make sure that you are on the right tab of your account to purchase the correct currency. Before confirming the transaction, Coinbase provides you with details of the service fee and the amount of cryptocurrency being purchased in the transaction. Once confirmed, the amount of cryptocurrency that you have purchased will be credited to the relevant Coinbase wallet. Coinbase is considered to be one of the most secure platforms currently available. First of all, Coinbase is US based and is therefore required to comply with US State and Federal law. This can be contrasted with some of their competitors that operate in countries that may have lighter regulations when it comes to such platforms. Coinbase has actively pursued discussions with regulators in order to ensure that they were providing an open and innovative financial system and the regulation of Coinbase is considered by some to have restored confidence in cryptocurrencies following the Mt Gox collapsed (although other commentators have complained that Coinbase operates more like a bank, which, within the community, is against the fundamental nature of a decentralised cryptocurrency). When it comes to storage of funds, Coinbase is transparent about its methods. Coinbase segregates customer funds from company operational funds, with Coinbase stating on their website that any funds held on behalf of customers are stored in custodial bank accounts and, in the event of insolvency, neither Coinbase nor its creditors would have any rights or entitlements to such customer funds. In terms of its cryptocurrency storage, Coinbase states that 98% of customers’ cryptocurrency funds and stored offline, through hardware wallets and paper wallets that are stored in vaults and safety deposit boxes worldwide. In addition, Coinbase states that the remaining portion of cryptocurrency that is stored online is insured, and that in the event of a hack, customers will be entitled to receive any funds lost through this insurance policy. Coinbase offers customers a 2-factor authentication method, which can be through SMS to your phone, or through third party apps such as Google Authenticator or Duo. In addition, Coinbase notifies users if a new device or IP address attempts to access your customer account. However, despite this, if customer accounts are compromised, Coinbase does not accept any liability for funds being lost. For that reason, it is typically recommended that once you have purchased any cryptocurrency on the Coinbase exchange, you store this cryptocurrency offline in a wallet that you control. We have written a separate post which goes into more detail about the security of coinbase. Coinbase offers customer support through email, as well as having a Knowledge Base and FAQs page available for customers. Wait times for customer support may vary, with the huge increase in demand for the service in recent months resulting in some delays. However, typical response times tend to be within 24-72 hours. Some users have expressed frustration with receiving “canned responses” that don’t entirely address the issue raised. Transaction limits vary from country to country, as well as variations as a result of payment methods and verification status. You can view your limits through a link on the account’s limits page. Coinbase also allows users to apply for higher limits, although these applications are not generally applicable to credit card transactions. To apply for higher limits you will need to verify your identity and fully verified US residents can transaction up to $50,000 per week, while verified European customers may have a maximum of $30,000 in their account at any time. Users can check their limits through their account. To send or store crypto all you need to do is navigate to the Send tab of your account, choose the wallet you wish to send coins from, enter the amount and the public key of the recipient address and click send. To receive cryptocurrency, you need to navigate to the Accounts tab, click on the wallet where you want funds to go and click Receive. Once you’ve clicked receive you will be provided with your account’s wallet address which can be used by the sender to transfer the cryptocurrency to you. In 2015, Coinbase rebranded the exchange element of the company as GDAX and then again in 2018 to “Coinbase Pro”, to separate the ‘trading’ element of the exchange from the more casual consumer platform. You will find that you can avoid Coinbase fees by using GDAX as your buying / trading platform by sending a bank transfer to Coinbase and then using Coinbase Pro for purchasing. All Coinbase customers automatically have an account on Coinbase Pro, you login with the same credentials as you would on the Coinbase website. You can find out more about the two exchanges in our Coinbase vs GDAX comparison post. Coinbase Pro is designed to appeal to more advanced traders who want to know more than just the basics of market fluctuations related to cryptocurrency pairs. There are real-time orderbooks, trade histories, and charting tools. At the same time, the interface on Coinbase Pro is highly intuitive, making it possible for traders to start using the platform right away. If you want to find out more about their Coinbase Pro offering, read our complete review here. One of the criticisms from the online community about Coinbase is that has been known to track where its customers send their cryptocurrency, and may ban users from making certain transfers (for example for transactions with gambling sites or darknet purchases). Coinbase is also involved in a running dispute with the IRS where they are fighting requests to hand over all customer’s financial data under a “John Doe” summons. Coinbase also offer custody for cryptocurrency assets for institutions in the form of their custody program, which charges a setup fee of $100,000 and a minimum holding of $10million so you can see it is aimed at banks, hedge funds and other finance institutions who would require such a service. While the program is still in its early phase, they already have their first client and have accepted their first deposit. Custody services are a way for large financial organizations to securely deposit their assets in a way that is insured. This service, the first of its kind, could lead to larger institutional adoption of cryptocurrencies at large. Recently, Coinbase announced the acquisition of Paradex which is a decentralized exchange for Ethereum ERC-20 tokens, they are hoping to integrate some of this into their offerings and make a wide range of tokens tradeable on their Coinbase Pro platform. This is good news for their customers and indeed any holders of coins which will be listed as this should greatly increase the exposure of these assets to a wider range of people. Coinbase have recently rolled instant UK bank account purchases, that means you are now able to link any UK bank and enjoy near-instant purchases of their supported currencies. It also means you can deposit and withdraw back to your bank making Coinbase one of the fastest and most efficient ways to convert your coins back to fiat. Before this step, the process took a lot longer and involved international bank transfers and more fees involved in the conversion of cryptocurrencies. If you are based in the UK, this is a huge positive for using Coinbase as your fiat on-ramp and off-ramp. Visit your account settings page and click “Link a New Account” to see the new UK Bank account option. Another new addition to the Coinbase platform is their “Coinbase Bundle”. The bundle is an easy way to buy all 5 cryptocurrencies they currently offer ( BTC, ETH, LTC, BCH, ETC). This is an easy way to gain exposure to the coins currently available on Coinbase. Coinbase also operates a custody service aimed at financial institutions and segregates and holds digital assets in trust for the benefit of its clients. Coinbase Custody operates as a standalone; independently-capitalized business to Coinbase Inc. and is a fiduciary under New York State Banking Law. In addition, it is fully insured, regulatory compliant, undergoes regular external financial and security audits, and is SOC 2 Type I certified with SOC 2 Type II, and SOC1 Type II certification expected in the near future. Coinbase simplifies the process of purchasing and securely storing high quantities of cryptocurrencies for institutional investors, and there is currently an implementation fee of up to $10,000 and clients are expected to retain a minimum holding balance of $1,000,000. The custody service also allows asset holders to “stake” their tokens, and the team have unveiled Tezos (XTZ) staking for their clients, and the ability to participate in staking allows institutions to securely participate in Proof-of-Stake (PoS) based projects that reward parties for helping to secure the blockchain network by staking their assets. Client assets are held in segregated cold storage, and Coinbase Custody runs its own nodes and validators and operates first class, institutional grade security and infrastructure standards. In addition to staking, Coinbase Custody will soon introduce governance support for the Maker (MKR) protocol, with Maker and Tezos voting expected to be integrated in Q2, 2019. Security – Coinbase Custody uses 100% offline, segregated storage for all client funds, and posts all bond requirements for its stakers. Compliant – Coinbase Custody is a fiduciary and qualified custodian and offers staking services as a non-discretionary fiduciary activity to its clients. Simplicity – Clients can enjoy simple deposit, withdrawal, reporting and consensus features across all assets on Coinbase Custody. Coinbase Custody is also integrated with Coinbase’s OTC desk and the vertically-integrated custody service provides clients with access to instant and anonymous liquidity. The Custody team completed its first OTC trade directly out of cold storage in March, and the OTC desk is agency-only, with all counterparties required to adhere to robust KYC and AML policies. However, with Coinbase acting as an intermediary, the anonymity of the involved counterparties is preserved whilst guaranteeing settlement. Custody clients can leverage the OTC desk to price and confirm trades before moving funds, and the OTC and Custody client service teams work together to simplify the entire process. Any clients initiating positions can buy OTC and settle assets directly into Custody. Coinbase also supports the USDC currency (USD Coin), an ERC-20 token and “stablecoin” with a price pegged to the price of the US Dollar. As a result, holders of the coin will always be able to redeem 1 USD Coin for US$1.00 and protect themselves from the volatility of holding digital assets such as Bitcoin and Ethereum. USDC is minted by Centre, a consortium that collectively holds US$1.00 for every single USDC with the funds being held in a consistently monitored and audited bank account. The stablecoins are issued by regulated and licensed financial institutions that maintain full reserves of the equivalent fiat currency, and these issuers are required to report their USD reserve holdings on a regular basis with Grant Thornton LLP producing monthly reports on these holdings. As a result, USDC is fully transparent and the project works within US money transmission laws, and the CENTRE open source technology project received early stage financial contributions from Circle and Coinbase, helping it to develop and it remains responsible for governing the currency and connecting its growing body of users and network of various stakeholders. In addition to being supported by Coinbase and Coinbase Pro, USDC is also tradable on leading exchanges such as Binance, Bitfinex, Kucoin, OKEx, and Poloniex. As an ERC-20 token is also integrates with a variety of wallets, and can be used on decentralized platforms such as Bitpay, BlockFi, Dharma, Nexo, Melonport, and Loom. As part of its mission to create an open financial system, and make blockchain technology more accessible, the exchange operates the Coinbase Earn learning portal which allows users to earn cryptocurrencies, while learning about them at the same time. Coinbase Earn aims to incentivize users to develop a deeper understanding of a digital asset, as well as its underlying technology, and does this by making easy to consume, educational content readily available. Verified users are able to earn crypto by completing a series of educational tasks such as watching videos, and filling out quizzes, and the initiative is open to eligible individuals located across the globe. In addition to watching tutorials and answering quiz questions, users are also rewarded for sharing their unique referral links, and inviting other eligible friends to complete the lessons. It’s currently possible to take courses on digital currencies such as Stellar Lumens (XLM), Zcash (ZEC), Basic Attention Token (BAT), and 0x (ZRX) with further currencies expected to be added in the future. The Coinbase Wallet is a user controlled non-custodial digital currency wallet and decentralized app (dApp) browser. Here, the private keys (that represent ownership of digital asset) are stored directly on your device and not held centrally on an exchange. This places users in control of their funds and there’s no need to have a Coinbase Consumer account in order to use the wallet. The wallet is available to both iOS and Android users, and the app can be downloaded from the Apple and Google Play app stores. Once downloaded, users can link their Coinbase.com accounts to the Coinbase Wallet app, and after completion, can easily transfer crypto to the wallet app at anytime with just a few clicks. The wallet incorporates multi-coin support and allows users to manage popular cryptocurrencies such as Bitcoin (BTC), Ethereum (ETH), Litecoin (LTC), and all ERC-20 tokens including the USDC stable currency. In addition, the wallet also allows for the storage of digital collectibles and holds all ERC-721 collectibles and unique digital characters and creations. The Coinbase Wallet also integrates with a range of dApps, and allows users to engage online games, and marketplaces, as well as in decentralized finance (DeFi) projects like Augur, and trade on decentralized exchanges and relayers like Kyber Network, Paradex, and Radar Relay. The wallet is secured as users’ keys are protected with Secure Enclave and biometric authentication technology, and each users is in sole ownership of (and has sole knowledge of and access to) their private keys. Connect your Coinbase.com account by clicking “Connect Now” in the notification, or by selecting “Connect to Coinbase” from the Settings menu. Once your account is linked, you can transfer funds from the Setting menu at any time, and you can also use the Settings menu to unlink your account whenever necessary. You can find out more by reading our article covering the Coinbase Wallet integration. The recently announced Coinbase Card allows Coinbase customers based in the UK to easily spend cryptocurrencies both in-store and online. The card can be used at any location integrated with the Visa network, and customers can use their card in millions of locations around the world, make payments via contactless, Chip and PIN technology, while also making cash withdrawals from supported ATMs. The Visa debit card is linked to customers’ crypto account balances on Coinbase, giving them direct access to spending a variety of cryptocurrencies, and when using the card, Coinbase instantly converts the crypto to fiat currency, currently GBP, which is then used to complete a purchase. The Coinbase Card is the first debit card that directly links with a leading cryptocurrency exchange in the UK and EU, and the card facility is currently available in the UK, with support for other European countries planned in the coming months. Currently, Coinbase Card users must adhere to the daily spending limit of £10,000, in addition to the monthly purchase limit of £20,000 and yearly purchase limit of £50,000. There is also a daily ATM withdrawal limit of £500, and customers can contact cardsupport@coinbase.com in order to change their daily spending limits. A complete list of fees and limits is included in the Cardholder Agreement, which can be found in the Coinbase Card App Setting. The Coinbase Card app enables customers to access their accounts on the go, and select which of their crypto wallets they will use to fund their card spending. The app also provides instant receipts, transaction summaries, and spending categories with both i0S and Android versions available and the app can be downloaded on the Apple and Google Play app stores. In order to celebrate the launch of their crypto debit card, Coinbase are waiving the £4.95 card issuance fee for the first 1,000 people who sign up to join the waitlist. Customers can download the iOS and Android app and link their Coinbase account, after linking any crypto balances held on Coinbase will be immediately available to spend via the virtual card with the Coinbase Card later being sent in the post. Coinbase continues to take the protection of customer data seriously and employs a number of security protocols to safeguard sensitive information. For example, passwords and OAuth tokens are stored using AES-256 encryption on their servers, and all traffic goes over SSL to prevent third parties from monitoring connections. In addition, the Coinbase Card is fully regulated and issued by Paysafe Financial Services Limited, who in turn is authorised by the Financial Conduct Authority (FCA) under the Electronic Money Regulations 2011(FRN: 900015) for the issuing of electronic money and payment instruments. Cards currently take anywhere from 5 to 7 business days to arrive, after being ordered, with card during the week in the afternoons. Cards ordered after this time will generally be sent out the following business day. The exchange has also recently announced further developments regarding its expansion plans with customers across Latin America and Asia being provided with greater access to the Coinbase service. Approximately 11 new countries across both regions have been integrated into the Coinbase network and users in close to 53 countries across four continents are now able to purchase, store, trade, send, and receive cryptocurrencies on Coinbase.com and Coinbase Pro. Customers in Asian hubs like Hong Kong, India, Indonesia, South Korea, and the Philippines; as well as the inhabitants of Latin American countries including Argentina, Chile, Colombia, Mexico, and Peru have all been welcomed to the fold, in addition to New Zealand of Oceania. Although it’s not perfect, Coinbase offers customers (and especially newcomers to cryptocurrency) a practical and easy-to-use service for buying and selling cryptocurrency. However, as with any online exchange, despite the security levels outlined above, the recommendation will always be that any cryptocurrency purchased through Coinbase should be transferred to personal wallets allowing you to have full access to the private key to your cryptocurrency. Overall, it is a good introduction to the world of cryptocurrency and allows users to dip their toe into the world of cryptocurrency without it feeling like it’s a strange new world. We have updated this review in 2019 to cover all the new options and features which Coinbase have been introducing. They continue to go from strength to strength and remain the safest and easiest way for newcomers to get involved in cryptocurrency. They have rightly earned their position as a leader in the field. Very good article, but I wouldn’t have put Coinbase vs GDAX, as I believe they can be used together. For example by trandfering your money from Coinbase to GDAX and then buying crypto on GDAX with no fees. I opened an account with Coinbase. When I called them for technical support, I heard them laughing at my questions over the phone. Then they sent me an email and spelled my name wrong. Shouldn’t that be automated? I got a very “fly by night” scammy feeling from them. Coinbase’s customer service was poor and now it is horrible. Expect long delays in getting access to your funds and frequent headaches even getting on line to their site. I received multiple emails stating my funds were available only to check online and my funds are still on hold for two weeks. They claim to be updating but their service is rapidly going down hill. I have had a coinbase account since Jan 18 can’t fault them. The only problem is linking a bank account so am unable to withdraw money if I wanted to. I hope in time this problem is solved. 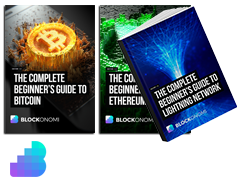 Sorry if my comment may come off rude, but I ve been seaeching for a step by step guide to getting my coinbase set up and everywhere i go i get the same thing like with your review a lot of words…! still not getting any closer to understanding how to use it. I resently got a home base job and they pay out in bitcoin. So far I have earned $600 and I still can not find the funds, I ‘ve opened my coinbase account and been verifed and check my coinbase everyday and all I seem to do is add more numbers to my account dashboard and I am getting so depressed and angry with myself feeling stupid, that I am ready to just quit the whole thing, because if i cant figure it out that i am working with no pay.. and the company is no help they keep sending me coinbase links and to watch youtube videos, and still not getting nowhere. Coinbase support is no help either. Why cant there be a step by step guide or live support!! Its a big company you think that they could provide this for their customers, instead having to research and never find any help. I certainly hope Coinbase is seeing these comments. Customer service is almost everything in business. I’ve also had a problem with slow/no response from their support. Another big issue for me recently is that they have just put a 28 day “hold” on an ACH transfer in to coinbase from my bank. Which means I am locked from sending it out for 28 days. That is outrageous and I won’t be using them anymore. why so many bad reviews. Why Coinbase is not taking any action to improve the customers problems. And helpful…….quite the opposite of some of the negative reviews here…. have you tried to withdraw your crypto? trust me, these guys where very reliable in the past, now even the website is full of functional issues and withdrawing your own crypto, with a fully verified account, years old, you will have big issues and long long long delays. They have big issues with their website, and withdrawing your funds can be close to impossible lately. I am never going to use it again (I used to be a happy customer for years). Now I have the strong feeling they are close to exit in a nasty way. To preface my review, a brief summary of my profile and usage: I have been using Coinbase 4-5 months and have traded less than $10,000 in volume to-date. I am not a professional with a large account. If you have a larger account, you may receive better service, I cannot comment on that. If I do decide to commit more money to digital currency trading, I will NOT be doing so with Coinbase. Setting up an account is simple and easy – if I could rate the account-setup process and the user interface separately, they would both receive five stars. However, since the purpose of using a digital currency exchange is to – obviously – exchange digital currency, I can only say stay away. My account has been frozen several times. Each time I contacted customer service I received inconsistent responses. They always offer some variant of “for your protection” or “for your convenience” or “for security purposes” but ultimately they offer no information and just unfreeze my account. In addition to account freezes, I have also had several unexplained holds placed on transactions that result in funds being inaccessible for up to two weeks. The site explicitly states that if you use a debit card to make a purchase the funds are available immediately to send, withdraw or sell, THIS IS FALSE. I have had MULTIPLE debit card transactions held for weeks. If you are (as I am) looking to make money by selling when the price is up and buying when the price is down I STRONGLY SUGGEST using a different Bitcoin exchange. My experience with Paxful and Coinmama have been positive, but that is only my experience and I am just one person. I failed to exercise due diligence with Coinbase and it has caused me loss and frustration. I hope the above information is helpful in keeping others from making the same mistake as I did. Coinbase has adopted the centralized bank mentality… which defeats the purpose of crypto currency trading. For instance – if you bite the bullet and pay the extra fees, you can add money from your Visa/debit. You might think, Great! But wait… the only thing you can do with the funding is trade within their platform – you can NOT withdraw it to another exchange for up to 10DAYS, even though the funds from Visa transfers are available almost immediately. So, as long as you only want to trade within their limited platform, and you don’t plan to need any of that money to be withdrawn from Coinbase, for 7-10DAYS, so be it. But, if like me, you limit the number if exchanges with access to your bank, and would like to use Coinbase as a “loading and transfer” wallet… guess again. So sorry, you have to sit and watch your perfect buy moment slip away in another exchange because your money is being held hostage on Coinbase. Live and learn. FYI … limited trading, average fees, but Abra allows you to load fiat and withdraw immediately after it’s cleared. AmEx fees are lower. Bank transfer are free, but take longer due to the bank itself. Mine are usually available within a few hours.